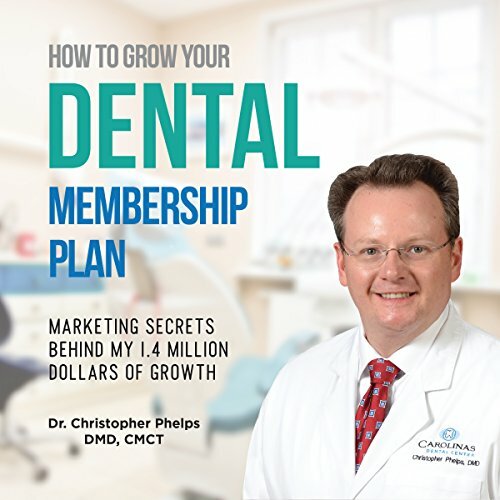 Showing results by narrator "Dr. Christopher Phelps"
More and more dentists are signing up with dental insurance plans in the hopes that they will help bring in more new patients. The unfortunate part of this strategy is that corporate dental groups are leveraging their size and power in negotiating higher reimbursements. What are we as a group to do? For my practice, the answer to this question led me to discover a nearly unlimited and untapped market of fee-for-service patients who want and value their dental health but have a significant hurdle to coming in to see a private practice doctor. GLAD I listened to this!